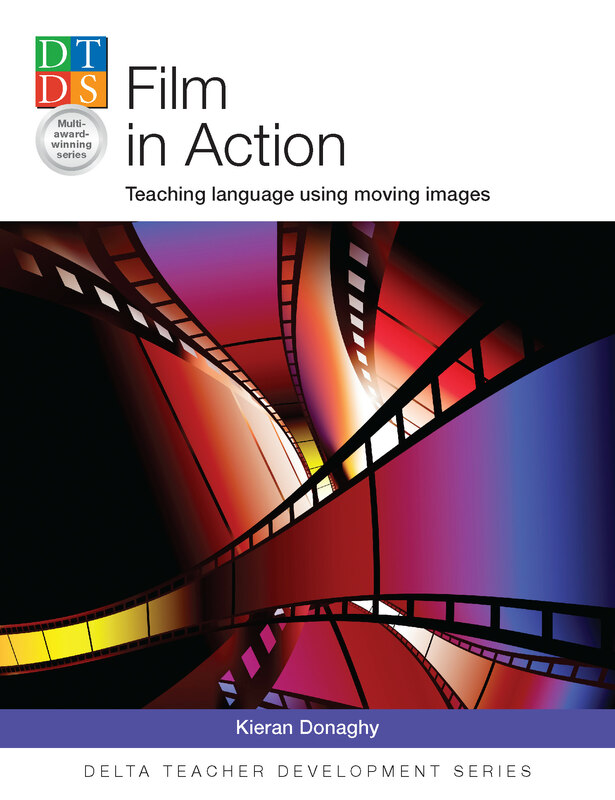 I’m delighted that my new book Film in Action has been published . It’s a great honour to join all the wonderful authors in the DELTA Teacher Development Series and I hope that Film in Action will fit seamlessly into the series and enjoy the prestige that the other books enjoy worldwide. Film in Action offers guidance on taking on the challenge of the digital revolution; insights into how learners engage with film inside and outside the classroom; advice on effectively bringing film into the language classroom; and guidance on how both teachers and students can create their own moving images. It has over 100 highly practical activities which require little or no preparation that can be easily added to the repertoire of any busy teacher. All the activities have the common aim of helping learners practise and improve their English, covering all four language skills. It highlights the educational benefits of not just watching moving images inside and outside the classroom, but also of creating moving images. It also looks at innovative ways of integrating moving images into the school system. This is the website which supports this book. It provides examples of the classroom activities and learner-generated films Film in Action, a glossary of film language terms, and advice on where to look for online for resources and lesson plans. Here you can watch a short video trailer for Film in Action. I hope you enjoy the book and the website.